Admission: $32.00 in advance; $35.000 cash at the door with RSVP. 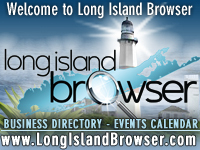 Description: 7 In Heaven Long Island Singles Dating Speed Pool 3 Age Teams July 2018 at Bay Shore Billiards in Bay Shore, Suffolk County, Long Island, New York. You don't need to know how to play pool to be on our team. Admission includes introductions, 1 free glass of wine/beer (or soda), pizza and salad, 1.5 hours of pool table time. 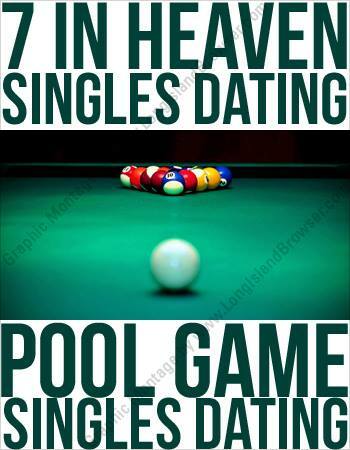 Next, separate reserved pool tables for speed dating style teams of 2 men and 2 women in appropriate age groups. After completing the first game, gentlemen will rotate to the next table to challenge the next team of women. No need to worry if you don't play well, many beginners will be there. Please note: This is not a speed dating event, however "make a connection cards" will be provided.